In years like this, marked with unpredictable and unfavorable weather, making sure you’re in control of the factors you can manage is critical. With much of the heartland battling weather that just refuses to cooperate, being too wet for planting or too dry after planting, many farmers have been forced to replant (with some even having to replant a second time)—highlighting the importance of making sure your operation is running as smoothly as possible to help salvage the season. To ensure your farm is operating as efficiently and productively as possible, you must evaluate everything from preparing your fields to delivering your product. 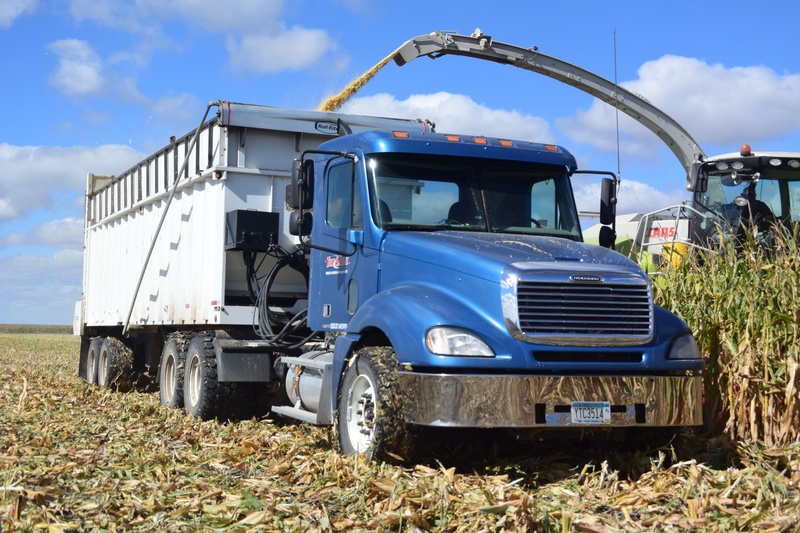 While much of the attention is focused on maximizing the performance of increasingly advanced and massive farm machinery while reducing its impact on delicate fields, it’s easy to lose sight of the largest piece of equipment to enter your fields: big rigs. Whether being driven into the fields or waiting on solid ground for the combines and grain buggies to empty the year’s harvest, semis play a vital role in getting crops from the field into silos, bins, and elevators before eventually being shipped to market. The use of semis has been another method employed by farmers to increase the efficiency and profitability of their operations. Big rigs have helped some farmers expand past their local markets, giving them access to different buyers and potentially better prices. They also play a fundamental role in getting the crop out of the field quickly and allow farmers to make fewer trips to their harvest's final destination, resulting in reduced fuel costs and, most importantly, saving time. Harvest is a hectic period on the farm, and downtime can cause a farmer to miss an important weather window (especially poignant giving this year’s race against the weather) or ideal grain specs. Thankfully, big flotation tires like the Alliance 382 can help farmers at harvest with everything from getting stuck in the mud to reducing soil compaction. The Alliance 382 is a perfect replacement for truck tires and dual-truck tire set ups on big rigs that have to operate in uncertain field conditions. Their block-type tread delivers the traction needed for working in all types of conditions while still providing a comfortable ride on the road. Because you can run them at a lower inflation than standard radials, the 382 has a larger footprint which is great for traction and even better for the ground, as it disperses the load over more area to help reduce soil compaction. And since time is of the essence at harvest, you can drive the Alliance 382 at speeds of up to 62 mph on the highway, helping to get you off the road and back into the field. If harvest is just as wild a ride as planting, make sure you’re in the best position to weather the storm by contacting your Alliance tire dealer and learning how our flotation tires can help make harvest a little less stressful this year.